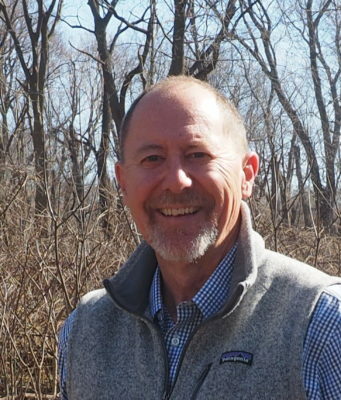 Dr. Michael D. Wiant has joined the Illinois Audubon Society Board of Directors. A novice birder, his interest in the subject has been energized by Audubon field trips and his wife Terri Treacy, a former member of the Illinois Audubon Board of Directors. Drawing on all his experiences, Dr. Wiant welcomes the opportunity to promote the goals and objectives of Illinois Audubon. Wiant retired in 2017 after 35 years of service to the Illinois State Museum. Trained in anthropology and archaeology, Wiant has explored Native American history, human ecology, and landscape history in Illinois and the Midwest. Hired as a Curator in the Anthropology Department in 1982, Wiant served as Chairman of the Department from 1988 until 2003 when he became the Director of the Illinois State Museum—Dickson Mounds. In 2015, he was appointed Interim Director of the Illinois State Museum system. Education, especially sharing his knowledge and experience with the general public, has been a centerpiece of his career. He taught courses at Illinois State University Department of Sociology-Anthropology for 27 years and was named a distinguished graduate of the Department. In addition, Wiant has presented dozens of public lectures and lead Museum field trips that consider the natural and cultural history of Illinois. As an at-large board director, Wiant’s focus will be long-range planning, specifically as it relates to the educational goals of the Society. What a special person with such knowledge. He will be a real asset.